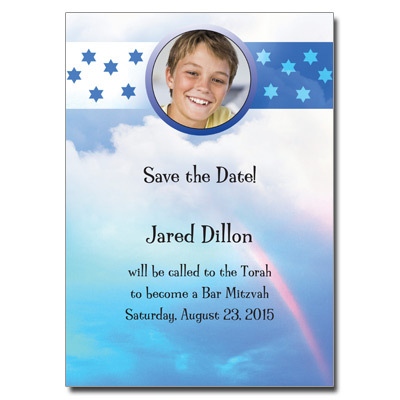 This colorful photo Bar/Bat Mitzvah save the date card is creative and whimsical. What a fun way to remind your guests up your upcoming event! Card measures 5x7.